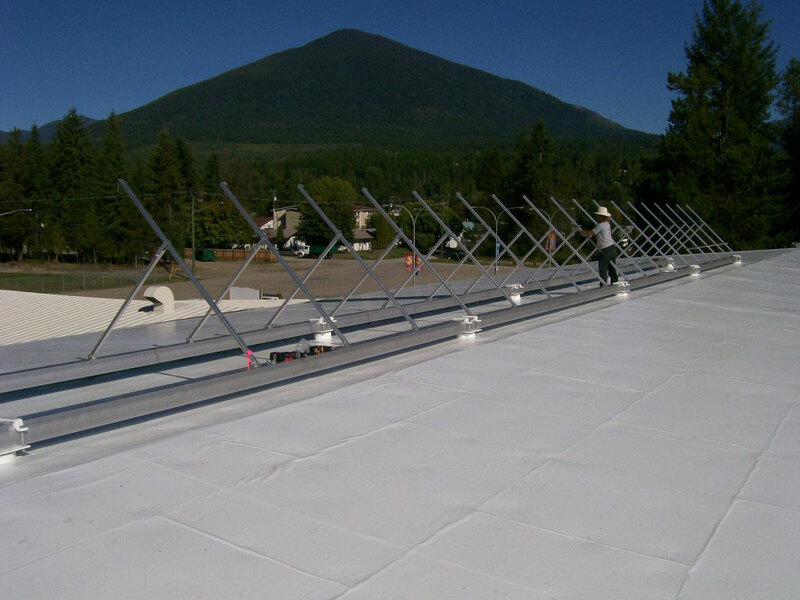 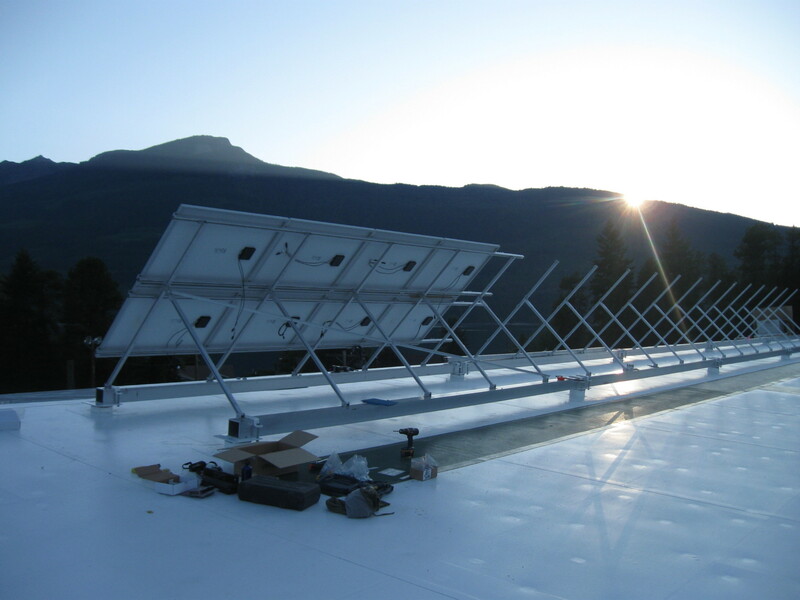 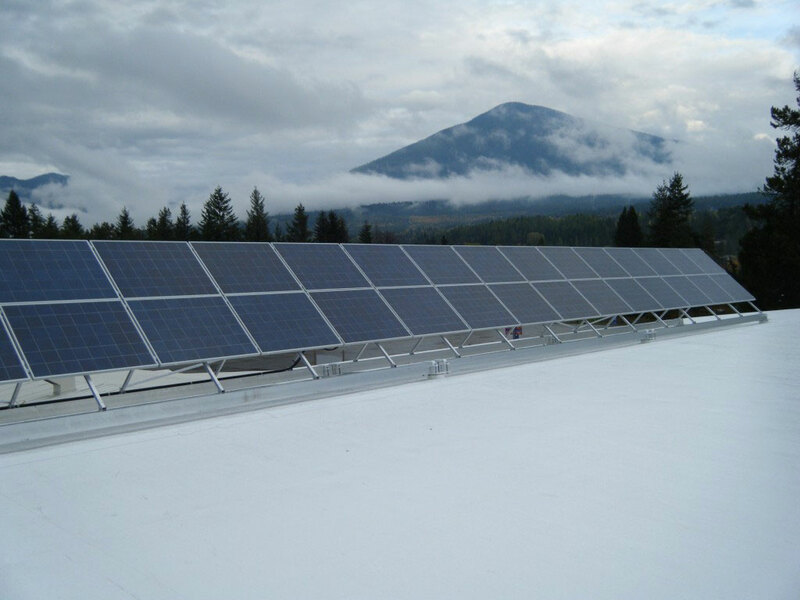 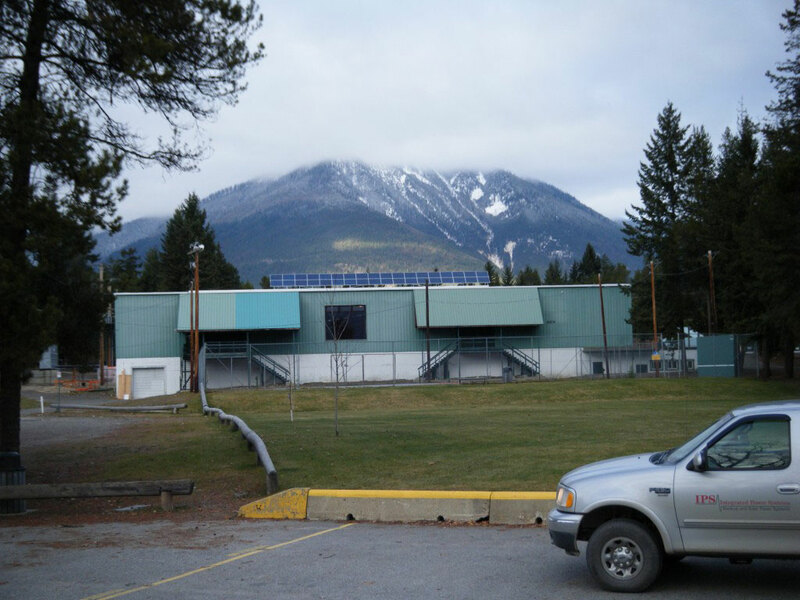 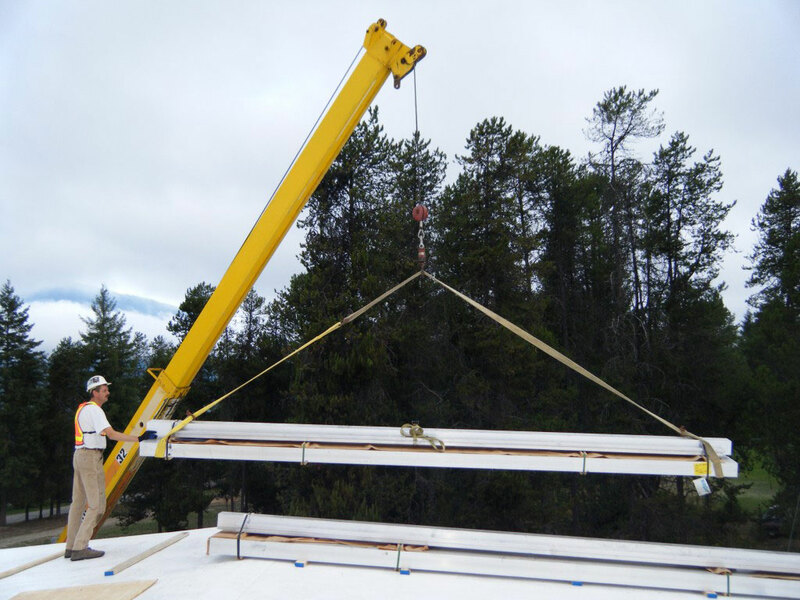 In 2008 we installed a Grid Tie System on the arena for the Village of Nakusp in BC. 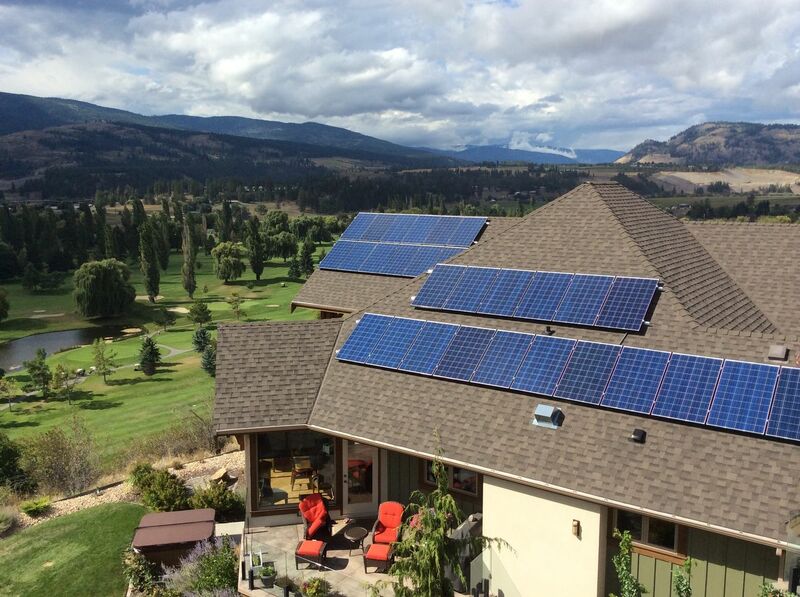 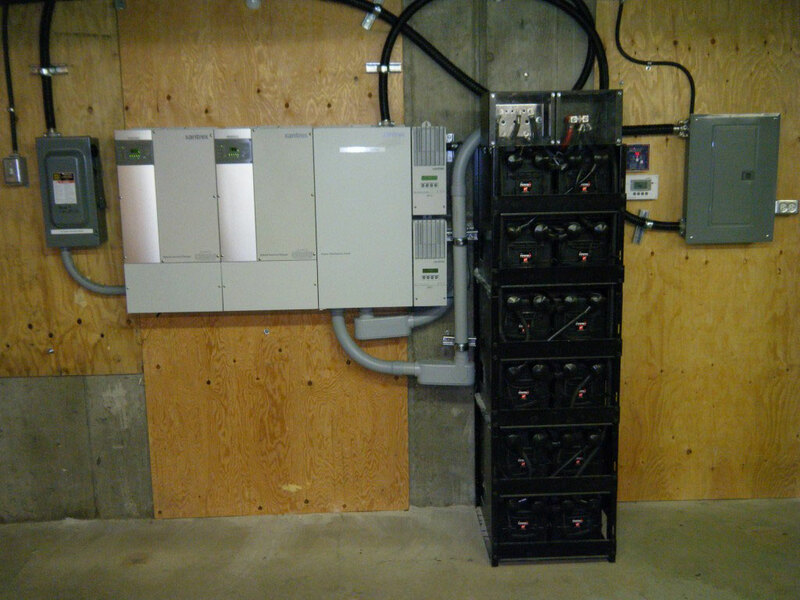 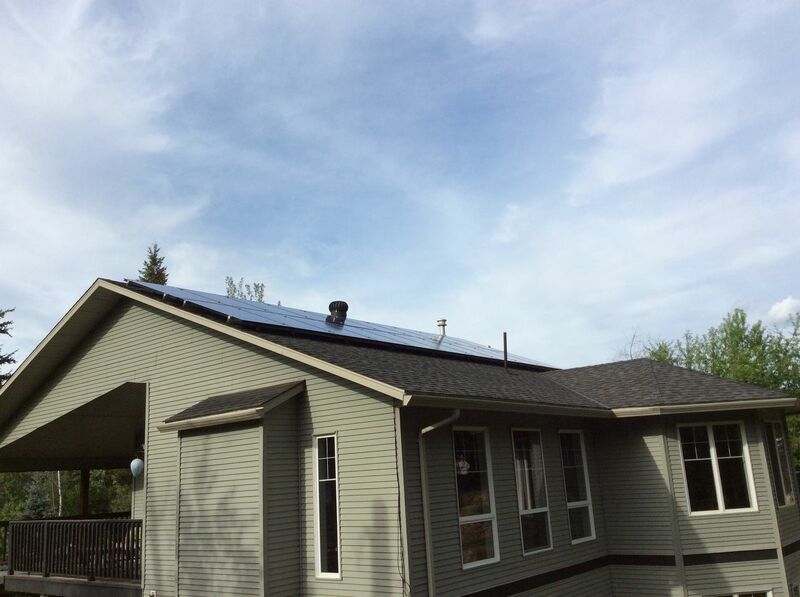 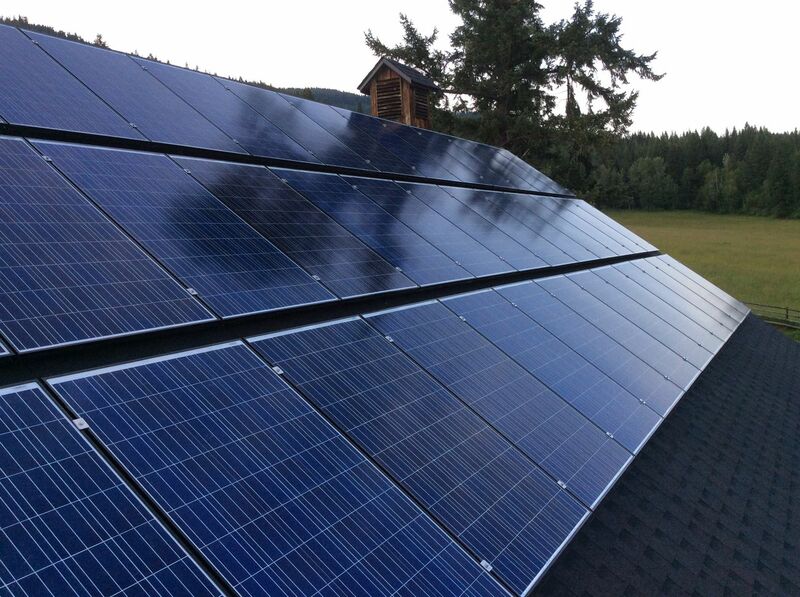 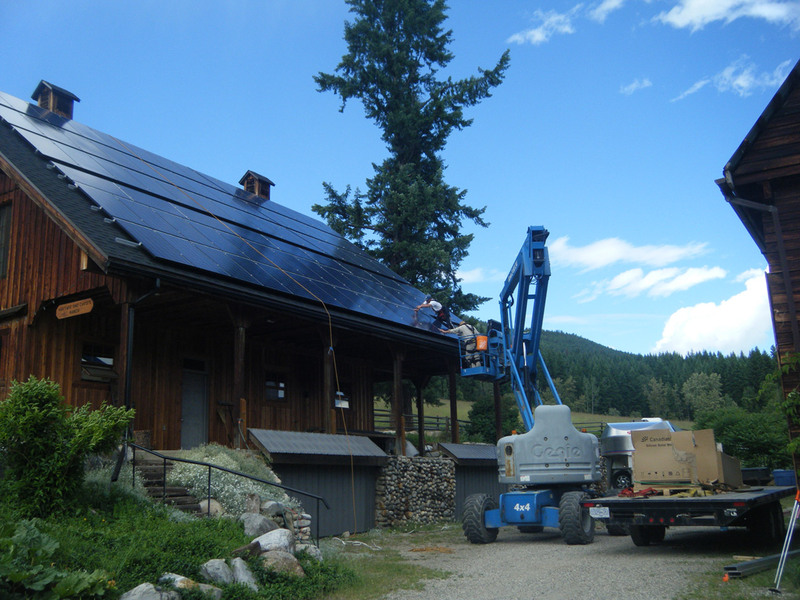 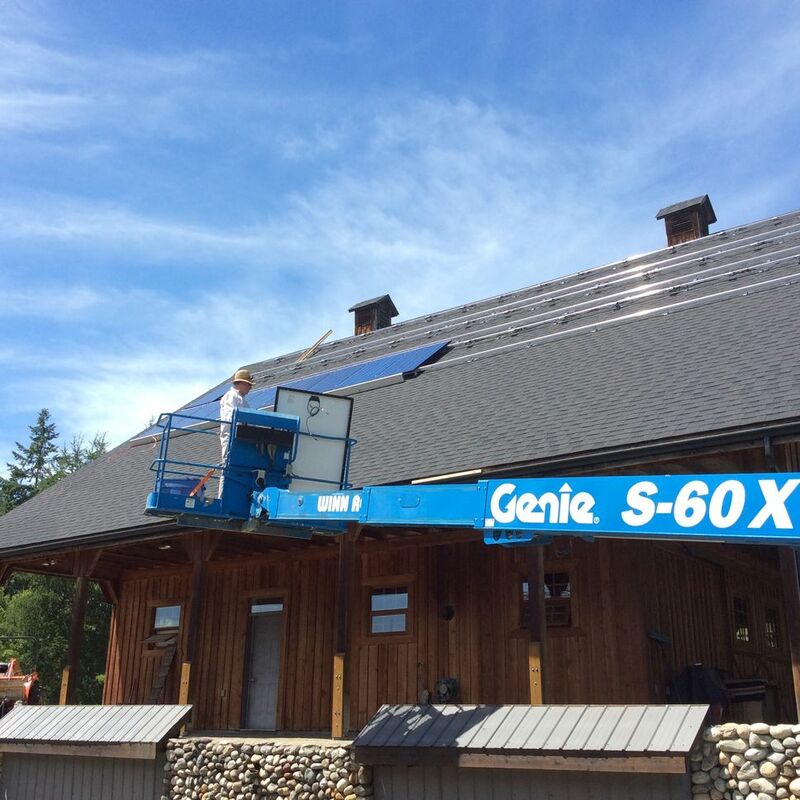 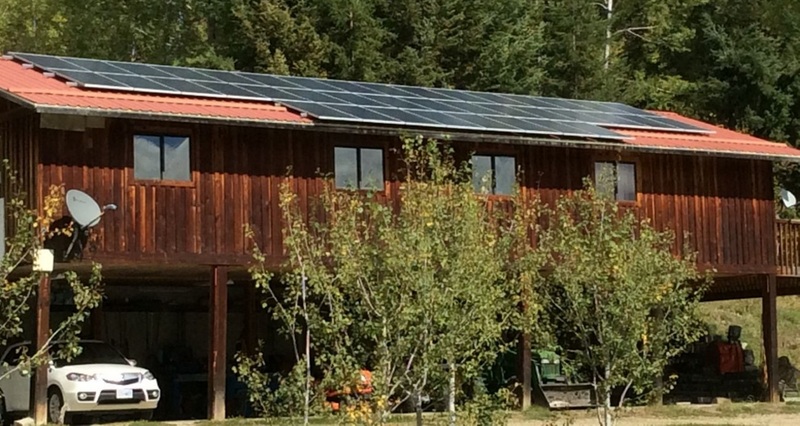 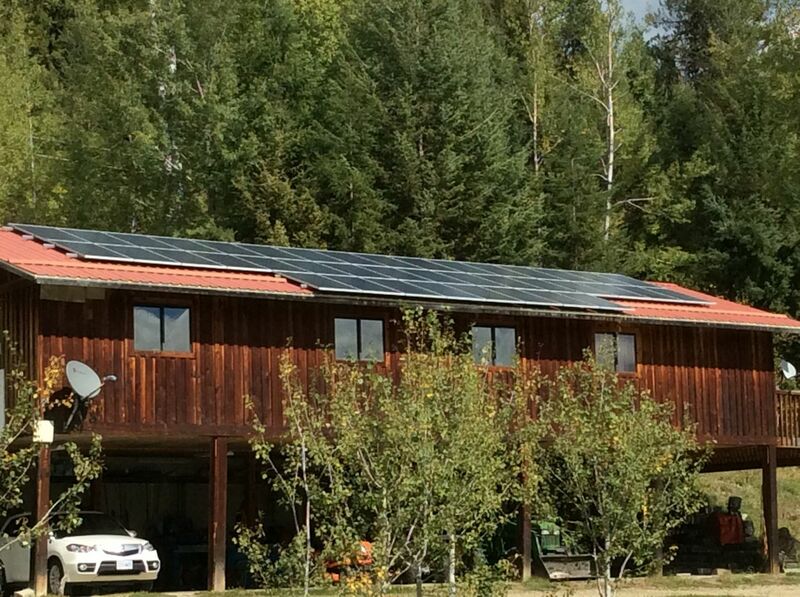 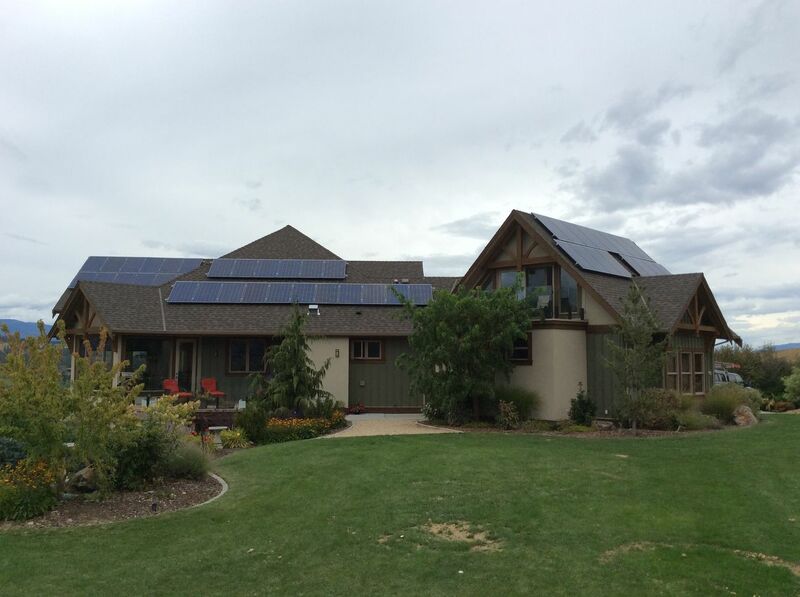 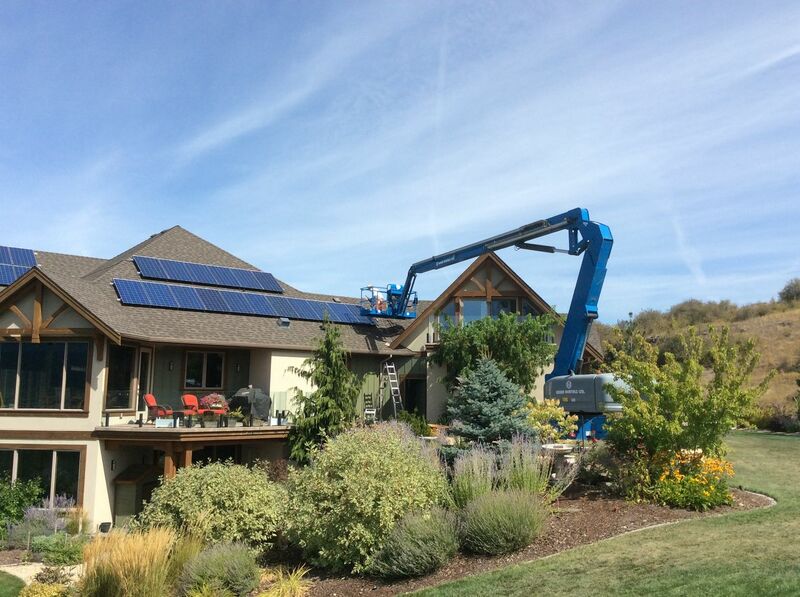 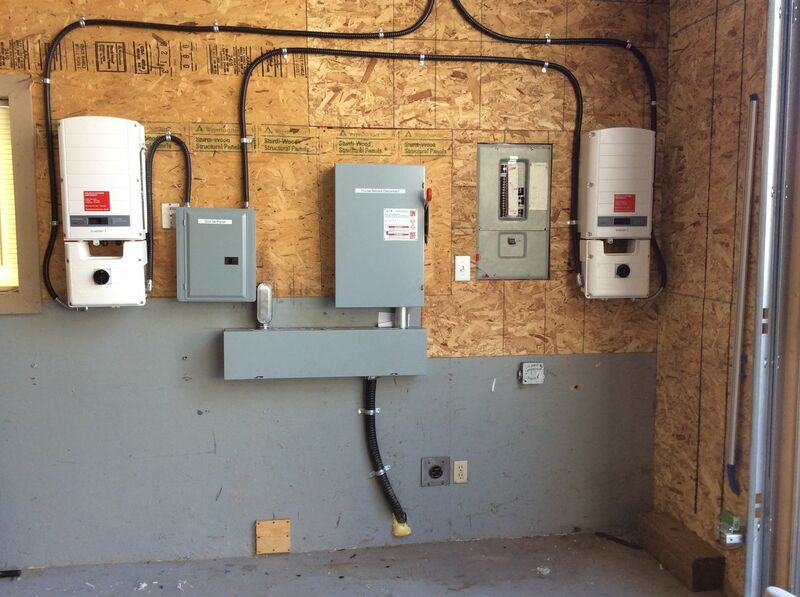 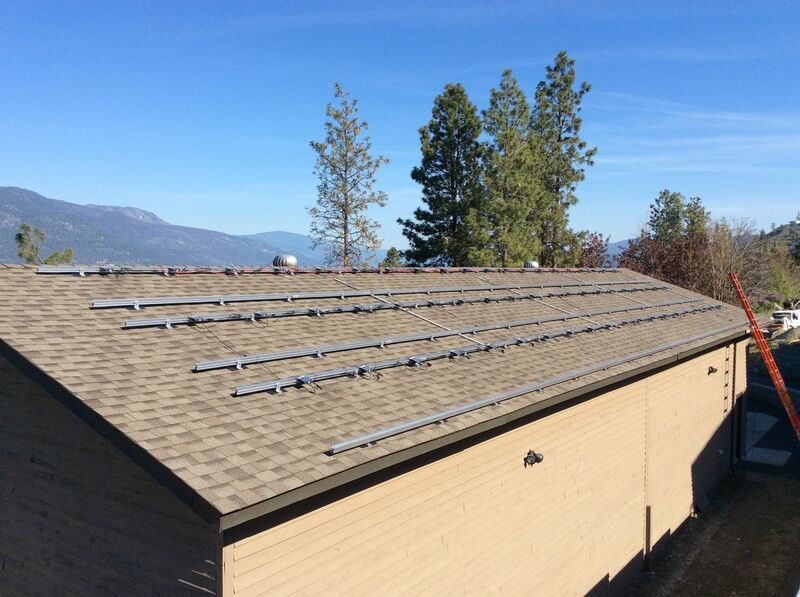 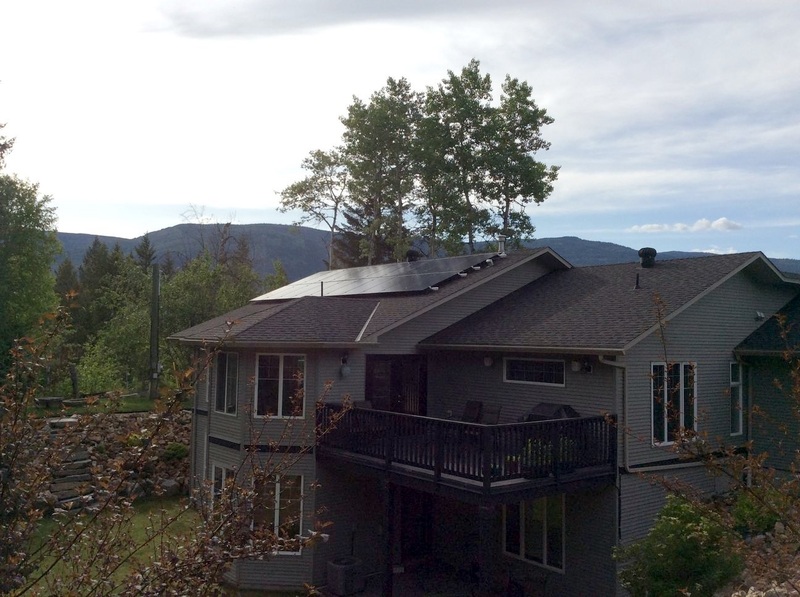 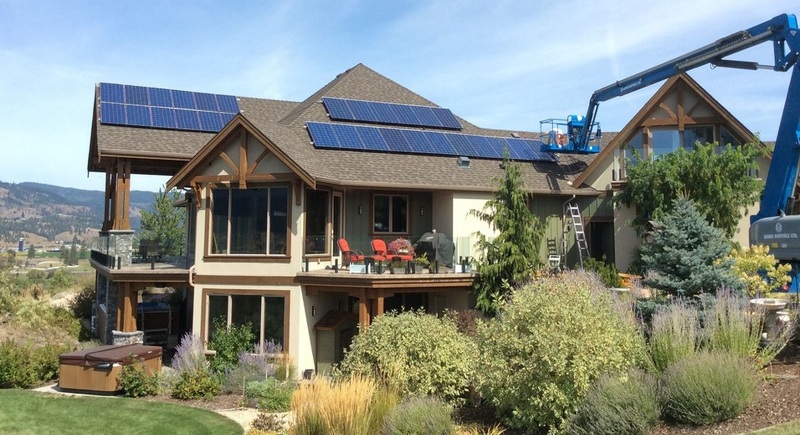 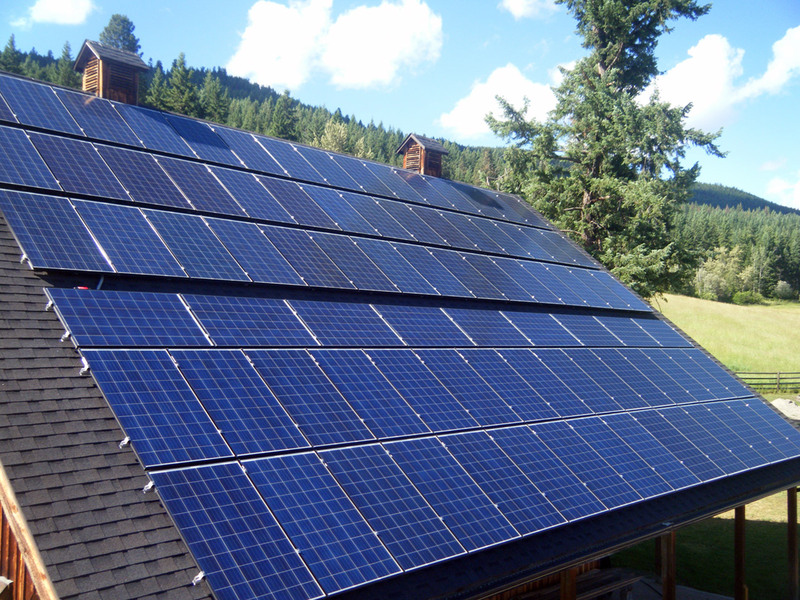 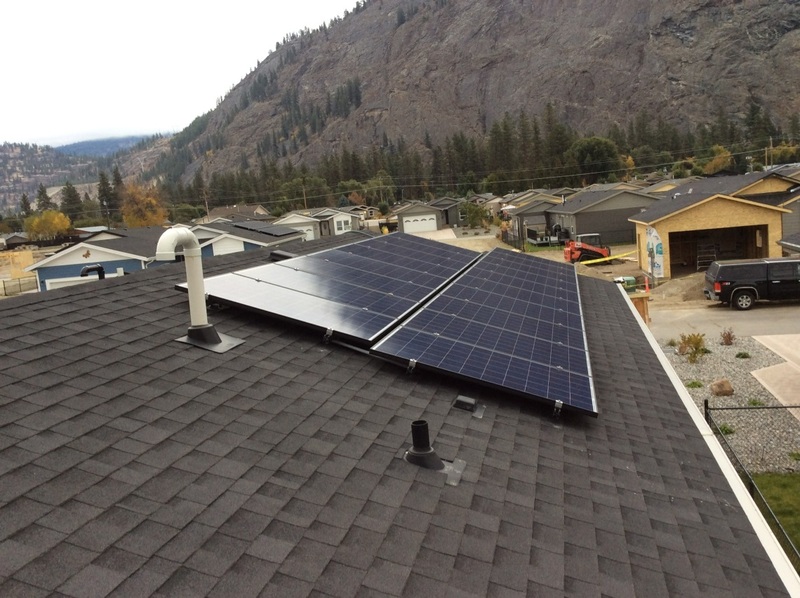 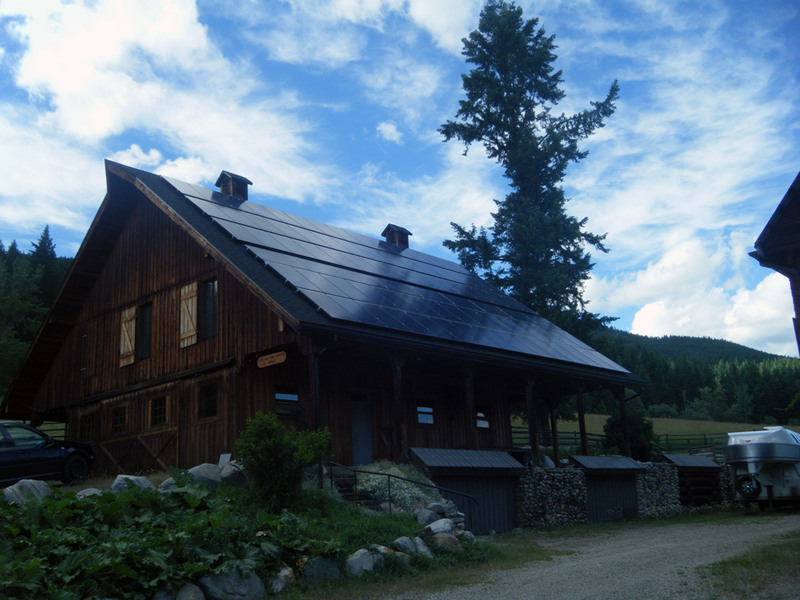 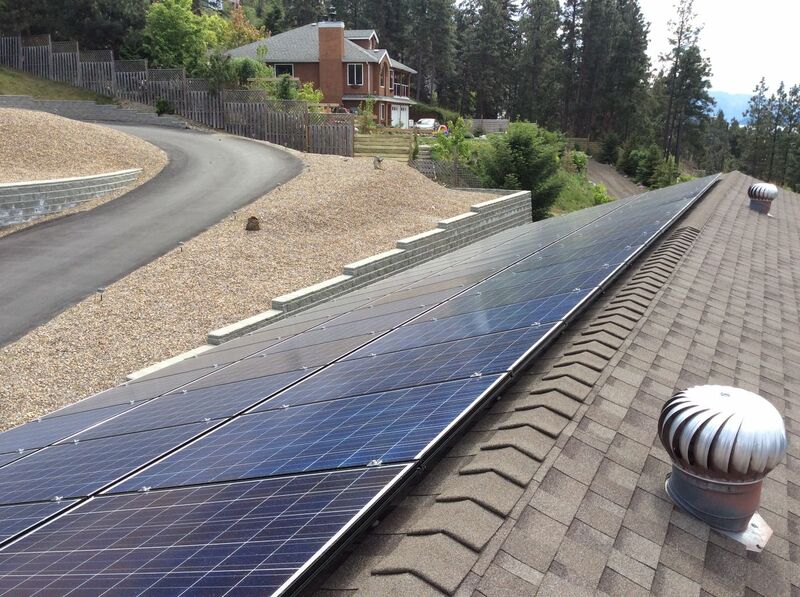 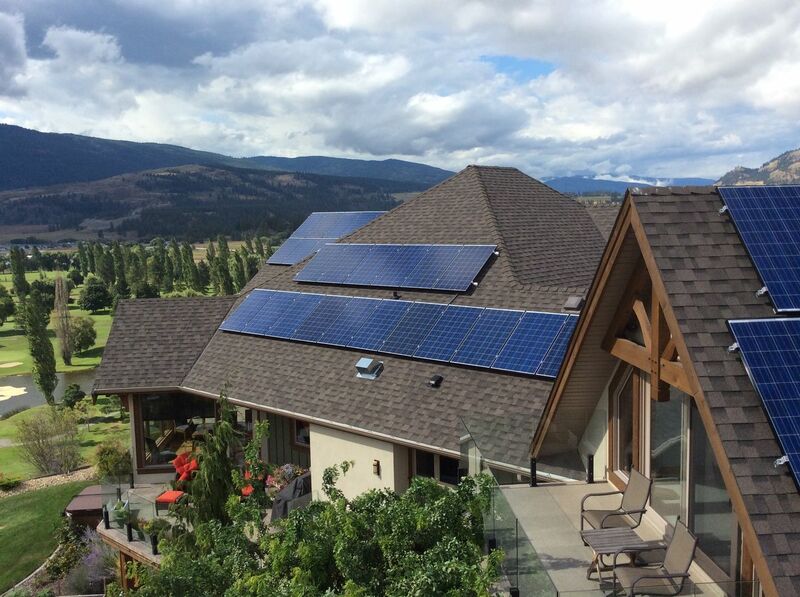 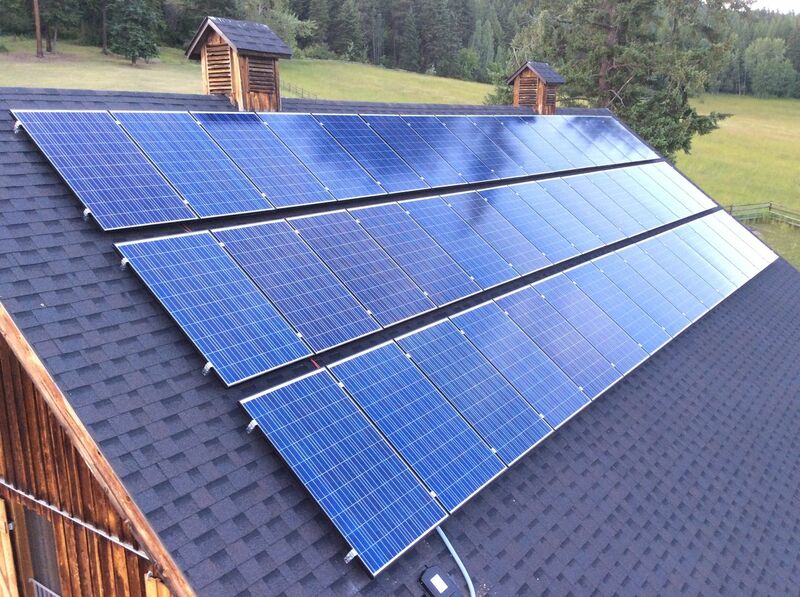 The system included a Xantrex 9 kW inverter and 36 x 175 watt solar panels. 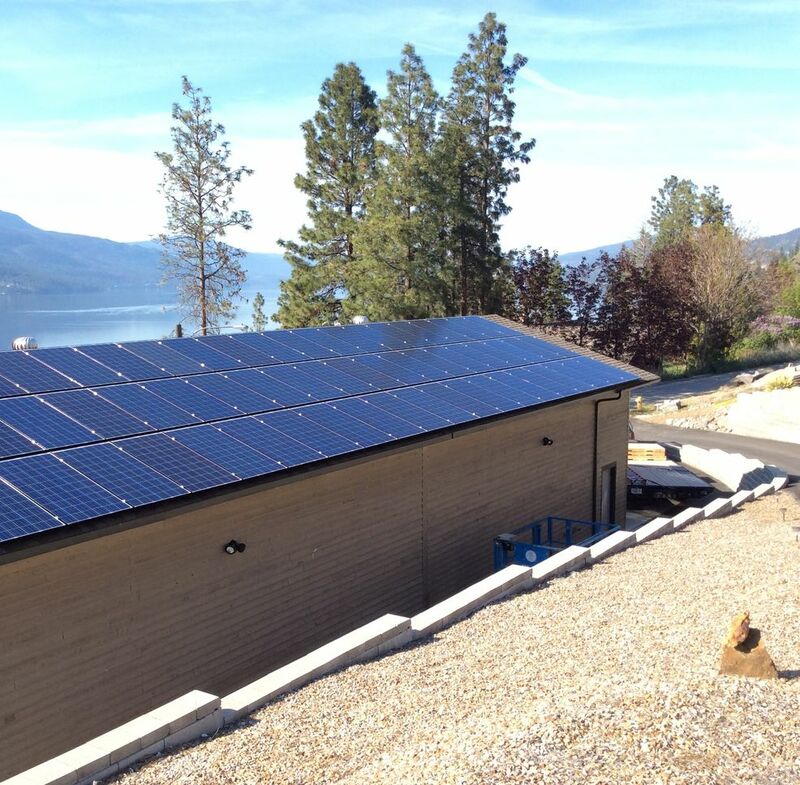 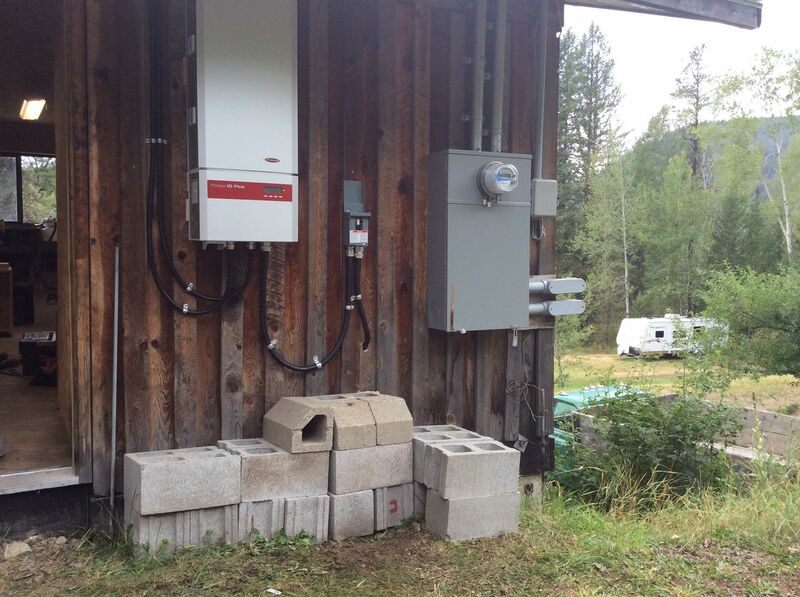 As Nakusp is the emergency response center for the area and cannot be without power, the system also included a battery bank for power storage. 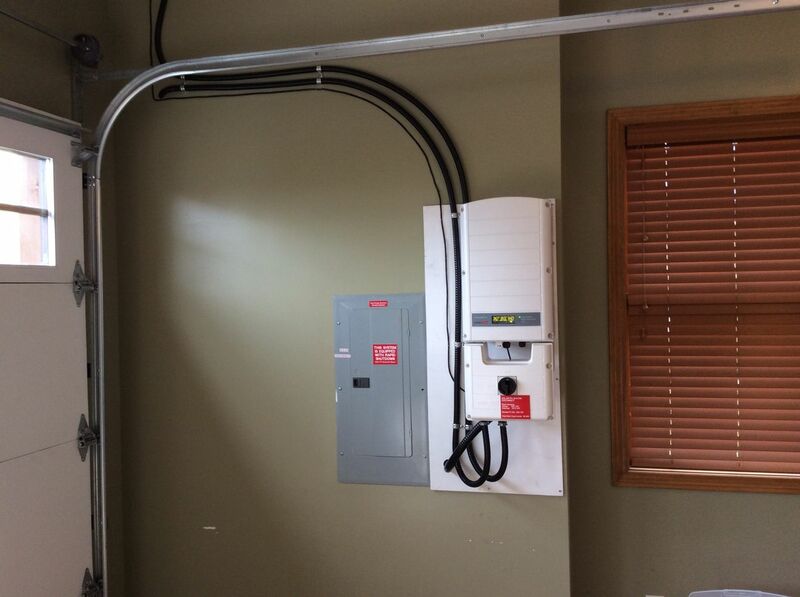 In the event the utility grid goes down, the essential services needed will continue to be powered. 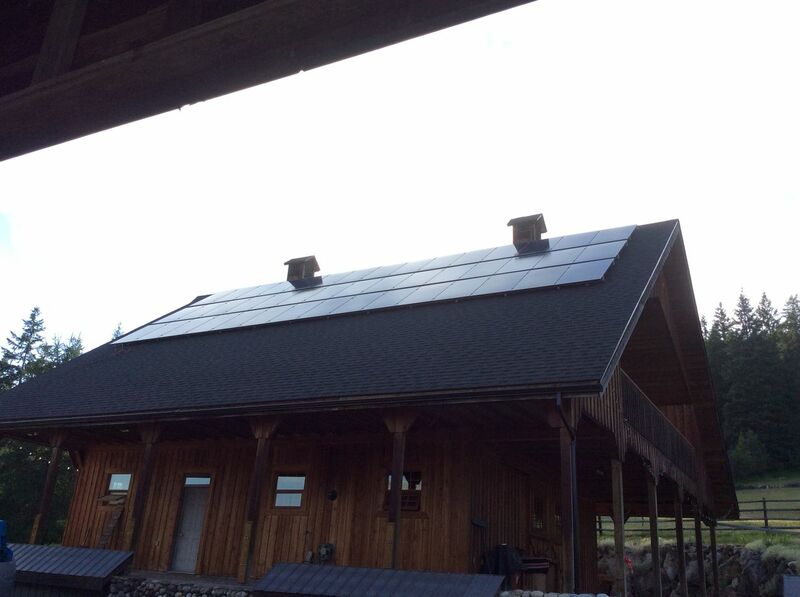 We designed, engineered and built the custom solar panel mount that can be seen on the arena roof.